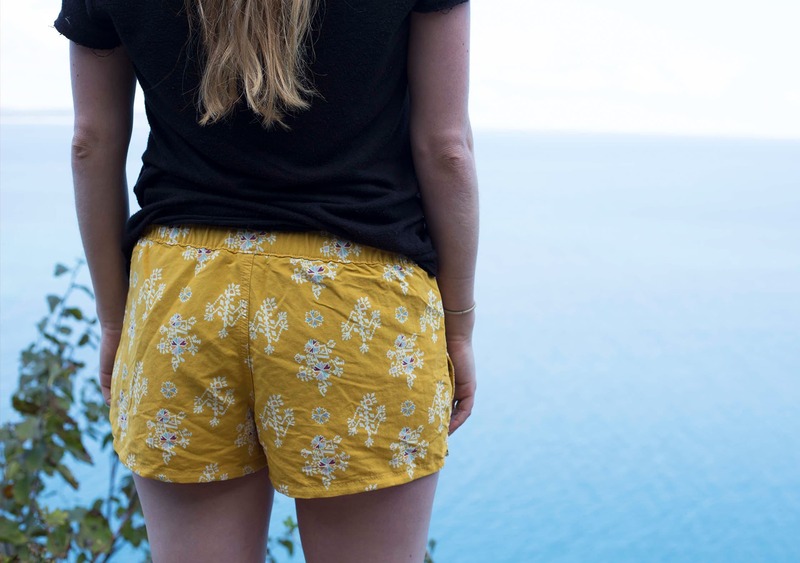 The Patagonia Women’s Barely Baggies™ Shorts are a great option for versatile travel, especially if you’re heading somewhere warm by the coast. Designed to be worn both in and out of the water, we’ve been happy with their simplistic design, which allows us to wear them just about anywhere—except they might not fly at a fancy dinner party. 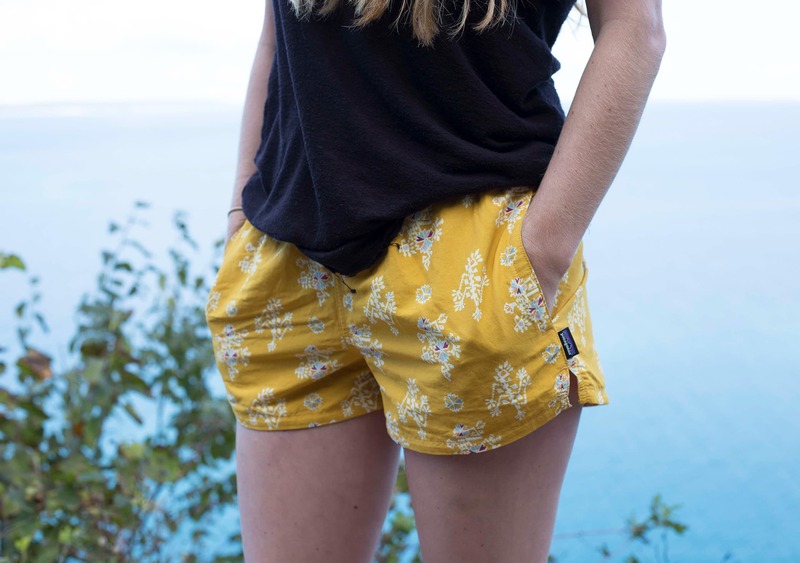 The shorts are made of 100% nylon (92% recycled) and durable water-repellent finish. 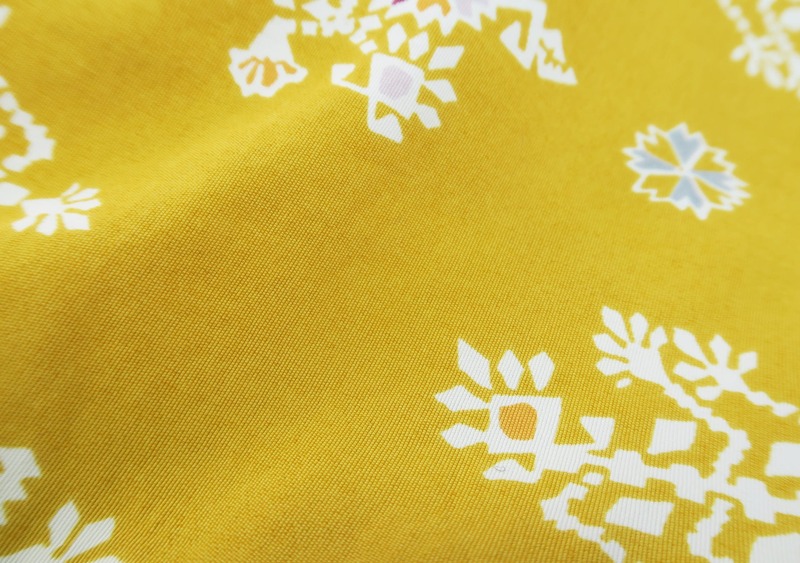 The fabric is bluesign® approved and they are fair trade certified sewn—which means fair wages and safe working conditions are provided to the individuals making the product. A double thumbs up from us. They also come in a seemingly ever-changing lineup of colors and patterns. We’ve chosen a patterned pair with the intention of adding a pop of color to our wardrobe, and we’ve found they work great with a more neutral wardrobe as pretty much any shirt will match with them. However, solid colors like black could also work if you’re looking to keep things simple. 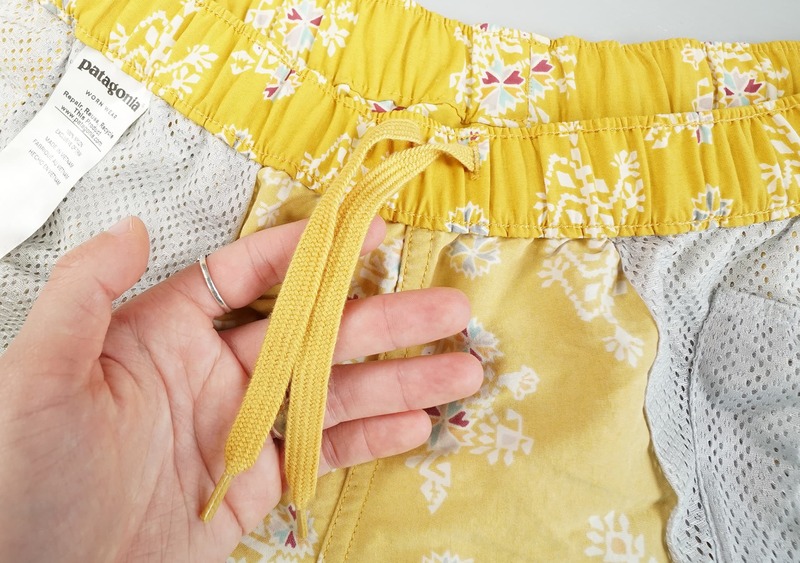 The Barely Baggies™ can be tightened up at the waist by the covered elastic waistband and inner drawcord system. So if you find they fit a tad loose, you can just tighten them up and they’ll fit a bit more securely. We’ve also noticed that everything below the waistband is a bit “stiff” feeling at first, but don’t be alarmed—in our testing, this feeling goes away after the first couple wears. 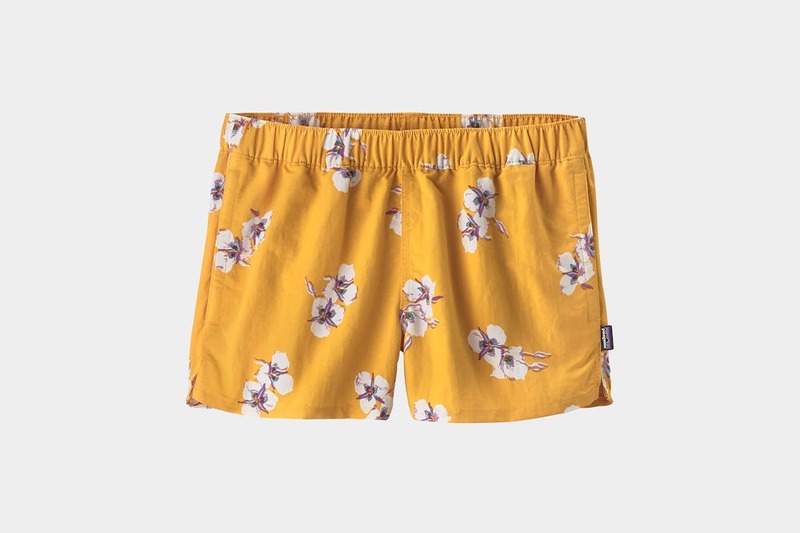 These specific shorts have a 2½” inseam with two pockets, located on both the left and right side (you know, the place where pockets usually exist). The pockets each have a polyester mesh lining that work well if you’re in a sandy environment. We wore ours through the sandy deserts of Utah along with the massive sand dunes of Northern Michigan and managed to keep our pockets squeaky clean. The right pocket even features an elastic key-loop. There is also one sneaky, hidden top-entry mesh pocket. This pocket actually ended up being our favorite due to its location and security. It can fit smaller items such as keys, chapstick or other daily-use items. At the bottom of each side, located under the pocket area where the seams meet, there is a small slit to help with mobility. This is great for outdoor activities—it just adds some comfort and flexibility. The only problem is that with flexibility comes… exposure. Specifically, exposure of stuff you may not want exposed to the average joe behind you. In other words, built in underwear are always a helpful addition to shorts if you’re planning on doing any bending, moving, and grooving. Granted, this isn’t a deal breaker—and if you’re wearing them at the beach, your bathing suit bottoms should work well underneath. But other than that, our pro tip would be to keep your undergarments a neutral color. 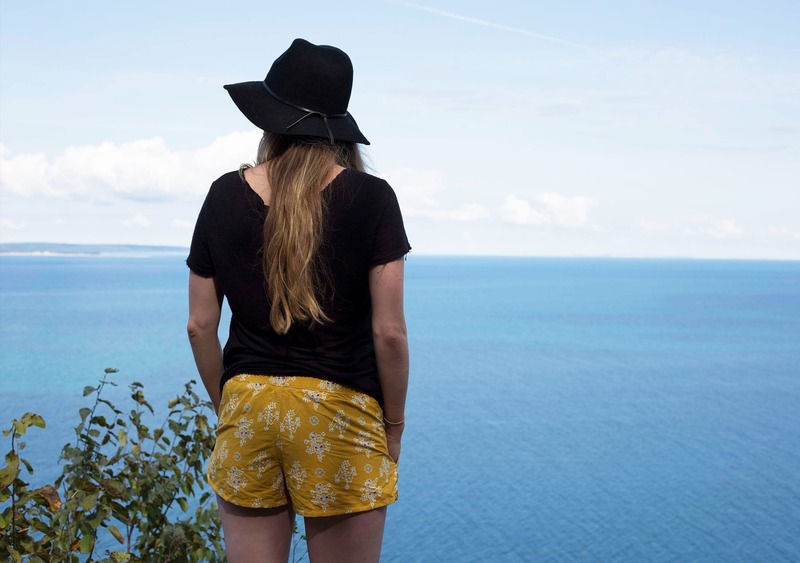 Overall, we’ve been impressed by the versatility of these shorts. We’ve worn them to sandy beaches multiple times and love their ability to filter out any sand that inevitably winds up in your pockets, thanks to that mesh lining. 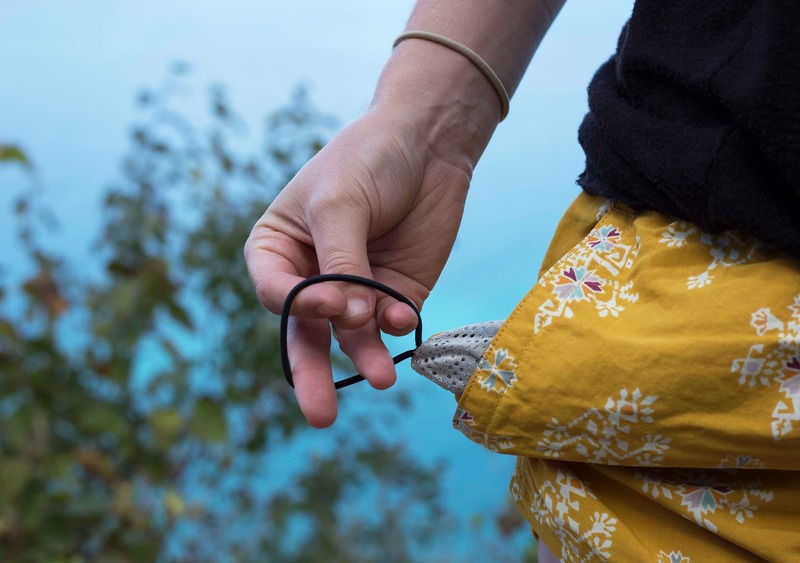 The elastic key-loop located in the right pocket isn’t something we’ve used a ton, but it is useful if you’re securely attaching keys to it while taking a walk down the beach or a swim in the ocean. Wouldn’t want to lose those in a wave! As far as care goes, we’ve opted to hang-dry these instead of tossing them in a dryer. Typically, we’ve found any type of “water resistant” piece of clothing or swimwear piece, keeps its form better without exposing it to the heat of a dryer. With that being said, they may wrinkle a bit due to natural drying methods and packing them in your luggage for extended periods. But that decision is up to you! Luckily, if you care for them like we have, you’ll find they still look like new months after your purchase. And to top it off, they dry super quick, because that’s pretty much what they were designed for. Great! A little stiff-feeling at first, but they break in easily after a couple wears. Still looking like new after wearing in lakes, deserts, and more. Same as last month, holding up great. Items put in pockets can easily fall out when in use. No built-in underwear—which can be useful for outdoor activities. The Patagonia Women’s Barely Baggies™ Shorts have seen their way across the U.S. and have held up in various elements. From the Great Lakes to the Arches of Utah and about 3 months of use overall, these shorts have seen a lot but still look like new. With only a couple minor features we’ve managed to be bothered by—such as the lack of lining provided, we’re confident these will hold up just great as an addition to any warm weather wardrobe.